Travel to Colombia where there is land of incredible beauty, excitement, charm and diversity waiting to be discovered. The country borders the Caribbean Sea and the Pacific Ocean and is located on the North-Western corner of South America. Its territory is the fourth largest in the continent with an area of 1.141.748 km2 (709,450 mi2) rich in diversity from its people, cultures, regions and flora and fauna. Arrive at El Dorado International Airport, Bogotá. Met and greeted by tour guide and transferred to the selected hotel for checking-in. Bogotá is a modern fast growing city and one of Latin America's urban highlights with a thriving nightlife, superb dining and al fresco café and bar culture; yet none of the traditions are lost from its graceful churches, excellent museums to its plazas and urban parks. Breakfast and transfer to the well preserved historical colonial quarter of La Candelaria. There will be an opportunity for photographs at Plaza de Bolivar, the main square of Bogotá. The Cathedral, the Congress Palace, the Cardinal's Palace, the colonial church of El Sagrario, the House of Independence, the Palace of Justice and the City Hall are located here. 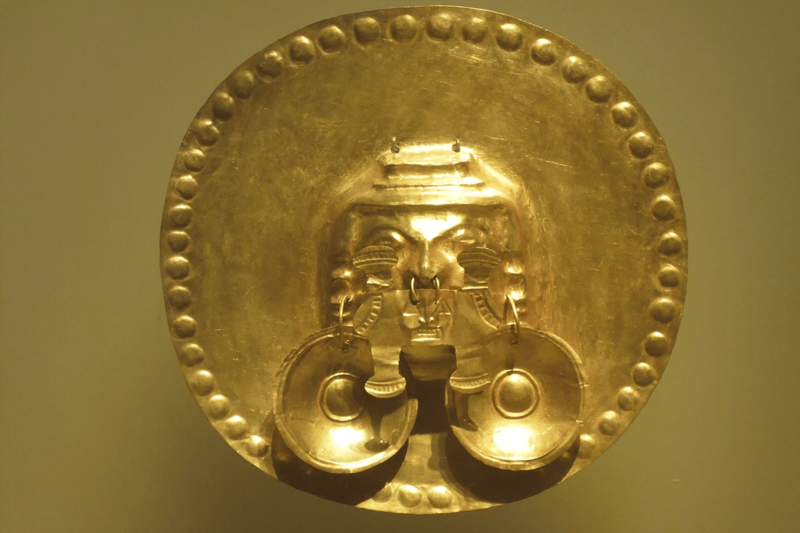 After visit the famous and 'must see' Gold Museum, where the world's greatest collection of pre-Hispanic Indian gold crafts is displayed. Next visit the FERNANDO BOTERO Museum which contains paintings and sculptures of this famous contemporary Colombian artist. Later, driven through the northern residential area of the city and through the fertile plateau to the small colonial town of Cajicá, where a short stop will be made at the main plaza. Lunch included. After a hearty lunch the tour continues to the town of Zipaquirá famous for its underground salt cathedral. Experience this extraordinary architecture where the Stations of the Cross and three naves are eerily illuminated along with other sculptures and cavernous pools; all hewn from the salt mine tunnels under the Halite Mountains. Though a popular tourist destination it is still a place of pilgrimage for the local community. Return and overnight in Bogotá. Breakfast and early morning transfer to the airport for the flight to Cartagena. Met and greeted by the guide and transfer to the selected hotel. 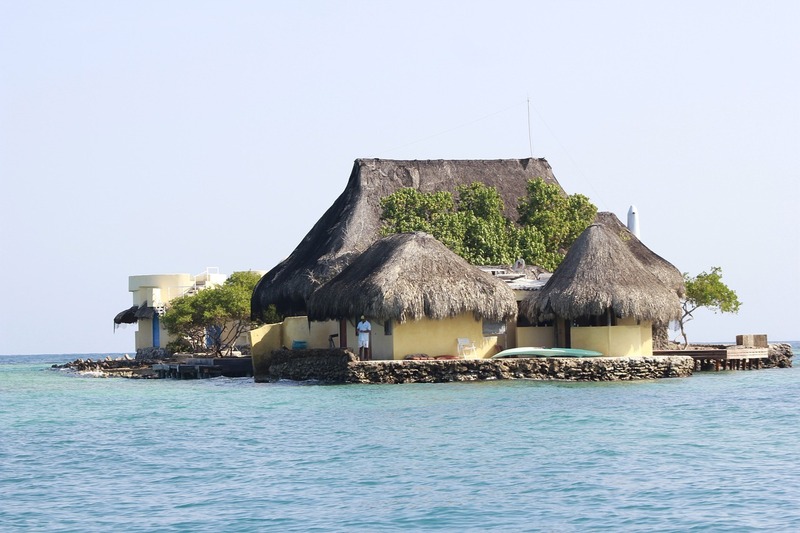 Cartagena is truly a highlight of Colombia. Designated a UNESCO World Heritage site the city has a wealth of character that will capture any traveller's senses, from its well preserved colonial architecture, romantic atmosphere, vibrant flora, balmy temperature, excellent cuisine and amazing sunsets over the Caribbean to its warm and inviting people. It was this alluring setting that fueled the imaginative powers of Gabriel García Márquez to write 'Love in a time of Cholera'. An afternoon a tour to the most important monuments of the city will follow lunch. Firstly driven to the Convent of La Popa built at the beginning of the 17th century on the hill of the same name. From there a magnificent view of the city and the bay can be seen. The tour will then continue on to San Felipe's Fort, built in the 17th century to protect the city from marauding invaders. After a tour looking at the construction of this impregnable fortress, there will be a stroll to the walled colonial city and stop at the colourful handicraft stores of Las Bóvedas where the local artisans display their ware. From there, transported to the Convent of San Pedro Claver, named in honour of the Spanish born monk who was known as the "Apostles of Blacks". The tree filled courtyard of the convent houses religious and pre-Columbian artefacts. Return to the hotel and overnight in Cartagena. 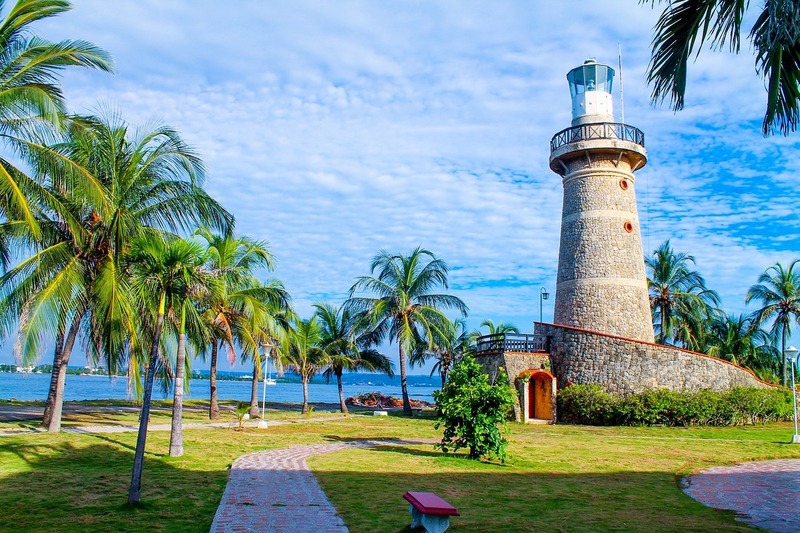 Breakfast and morning transfer to the tourist pier and departure by motorboat to the beautiful Rosario Islands archipelago, located an hour and a half south of the Bay of Cartagena. These islands have been declared a National Natural Park as it has one of the most important coral reefs of the Caribbean Colombian coast. Populated with a great variety of reef fauna; white sandy beaches and beautiful crystal clear waters all harmonise to make this impressive scenery. There will be opportunity to swim or snorkel, or laze in a hammock and let the imagination drift as one soaks in the heady atmosphere of this sensual city. Lunch included, return and overnight in Cartagena. Breakfast, and at the appropriate time, transfer to airport for flight to Bogotá and connection to next destination.